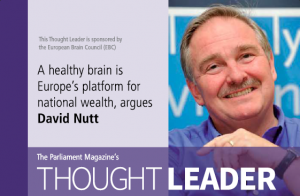 In response to the EBC Call to Action for developing an EU-wide Strategy for Brain Disorders, the Parliamentary Magazine devoted two articles to support this initiative in its November issue. 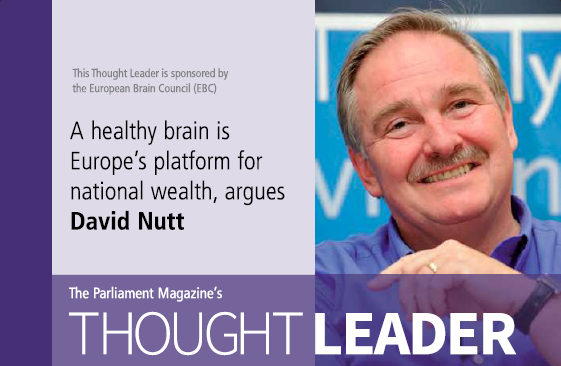 Professor David Nutt, the President of the European Brain Council (EBC), writes in his piece that brain health must be at heart of Europe 2020 strategy, arguing that a healthy brain is Europe’s platform for national wealth. Prof Nutt underlines the importance of improved cooperation and coordination which are absolutely critical to address in an efficient manner both the challenges and opportunities posed by our brains. On this account, he introduces the EBC Call to Action which aims to foster a dialogue on developing national brain plans, which would be brought under the umbrella of an EU-wide plan addressing brain health in a comprehensive and collaborative way.